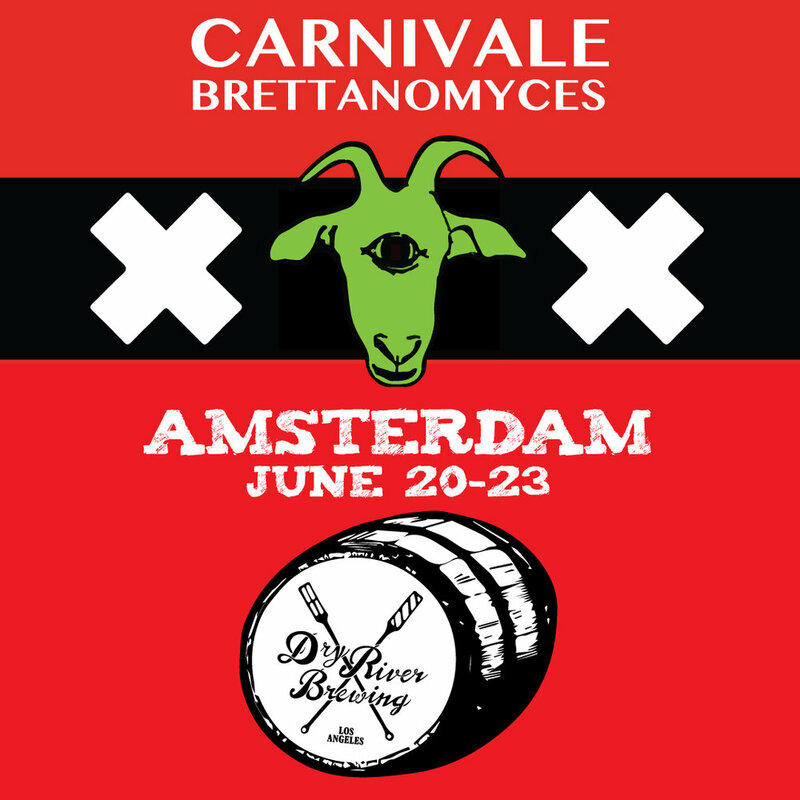 Dry River hits Amsterdam in June for the World renouned Carnivale Brettanomyces festivale celebrating funky and spontaneous beers from around the globe. We will be pouring with some of the premiere sour breweries in the world. Our Brewmaster, Naga Reshi will also be giving a lecture on our foraging tequniques and applications. A grand celebration of all things Brett, Carnival Brettanomyces might be one of hottest, rising festivals in the world. This year’s event has already announced over 45 participating breweries from every reach of the globe including US names such as Jester King, Yazoo, Fonta Flora, Birds Fly South, Dry River, The Ale Apothecary and more, as well as titanic international stars like Bokkereyder, Cantillon, Gueuzerie Tilquin and more. If you’ve got penchant for getting down to some funky liquid, this holistic drinking event features meet and greets with legendary brewers, beer dinners, panels and seminars on the ongoing study of Brett and much more. This special collab with Brewjeria Company is open top fermented ale with backyard grapefruit, kaffir lime leaf, rose petals, and blue corn. Meet the brewers and enjoy a very special beer. - tapping at 7 PM. Enjoy on draft and/or grab some can crowlers to-go! Come out for the Epic can releses of our beloved Lady Roja. This tart, red, refreshing botanical Saison is made with Hibiscus, Tamarind, and sea salt. Fermented and aged in American oak foedors to perfection. Celebrate international Women's day and feast on red Mulitas from Momma's Tacos. We're very excited to co-host our first Friendsgiving Dinner at the taproom with our chef friends and neighbors HANK AND BEAN. And we're doing it on a Tuesday night, which means we're opening up just for you! Grab some buddies and get tickets for this chance to have a proper (delicious!) family-style meal at your favorite local brewery. Get tickets here. L.A. Beer Week returns to celebrate its 10th Anniversary. Where has all the time gone? In 10 years, craft beer has grown from just a few beer-loving establishments in L.A. to now hundreds of craft-friendly bars and restaurants and over 75 small and independently-owned craft breweries. We here at the Los Angeles County Brewers Guild still can’t believe it. The growth of our industry and our community has been such a joy to watch develop. Our local breweries and craft beer establishments are bringing you quality beer, safe spaces, and hubs for families, friends, and everyone in between to congregate.